Traffic is building up at a midtown intersection as firefighters respond to a report of a broken water main. 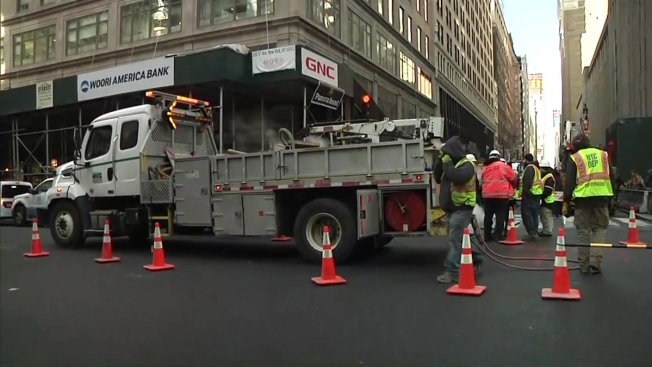 Steam could be seen billowing from the ground near 33rd Street and Fifth Avenue in Manhattan during the morning rush hour Tuesday. Fire trucks were blocking off the roads around the intersection. Another water main break was reported on West 26th Street and Sixth Avenue a short time later.